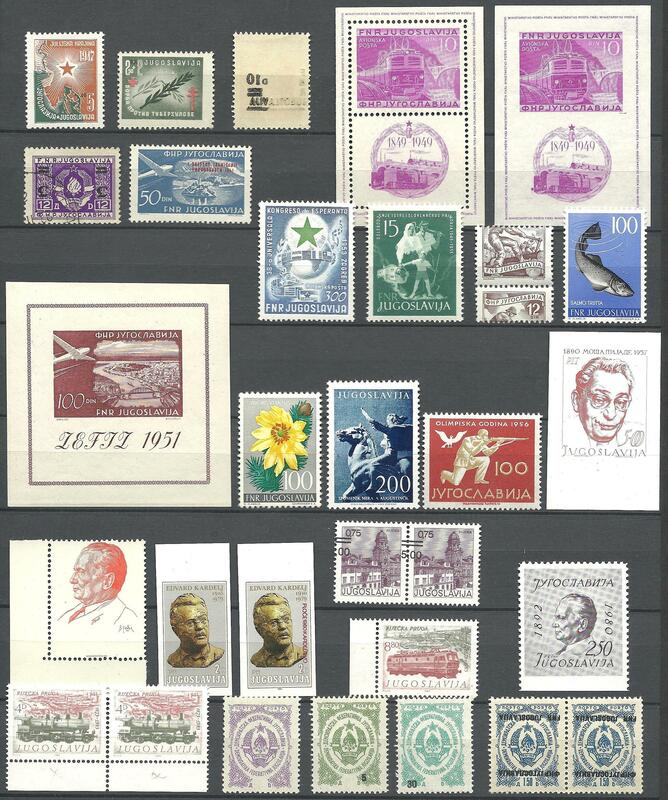 ** / * / ○,,Complete MNH collection of Yugoslavia to 1991 in generally good quality (few faults an average for a collection) mounted on Leuchtturm album pages. Some issues were specialized (e.g. Partisans, Industry). With many other varieties, constant flaws, overprint errors (shifted, inverted), perforation varieties (shifted, imperforate stamps) etc. Thorough inspection recommended.